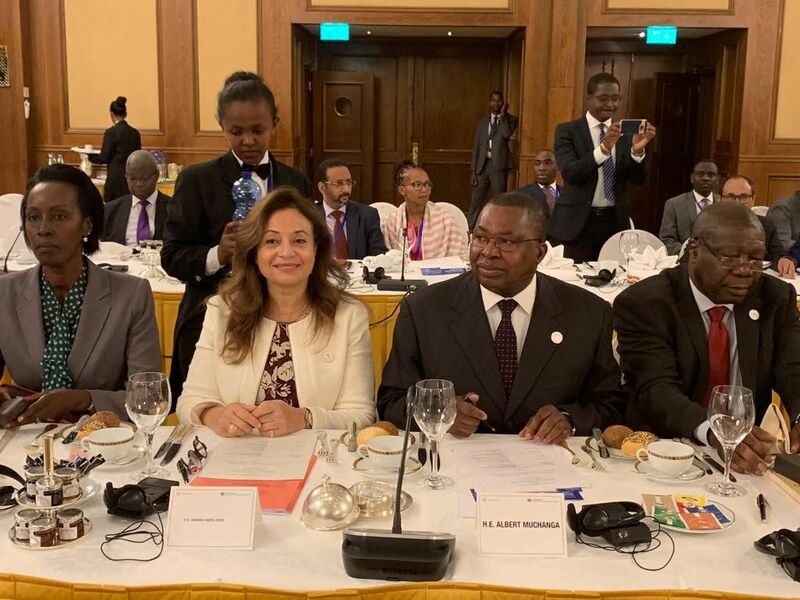 Addis Ababa, 18 November 2018: The African Union Commission and the Economic Commission for Africa (ECA) organized today a High Level breakfast meeting on Digital Identity on the margins of the 11th Extraordinary Assembly of the African Union (AU). The overall objective of the meeting was to spearhead the advocacy for a continental framework on Digital ID and provide technical inputs to the discourse on Digital ID on the continent, define and shape standards for Digital ID in Africa. The High Level Meeting was co-chaired by H.E. Mr. Paul Kagame, President of Rwanda and Chairperson of the African Union, and H.E. Dr. Abiy Ahmed, Prime Minister of the Federal Democratic Republic of Ethiopia. In his opening remarks, H.E Mr. Moussa Faki Mahamat, Chairperson of the AU Commission welcomed the initiative and the distinguished participants and stressed that Digital Identity will contribute to the implementation of major continental initiatives including the African Continental Free Trade Area, the Protocol on Free Movement of People and the African Passport and the Single African Air Transport Market. H.E. Faki Mahamat expressed optimism as Africa has young population eager and ready to embrace technology. The meeting also featured international experts/practitioners who have successfully implemented Digital ID systems to share experiences and lessons learnt that can guide the continent in the pursuit of Digital ID to facilitate inclusive development and regional integration. The meeting also heard that the ECA is establishing a Centre of Excellence for Digital ID to work with the AUC, RECs and member countries to champion the Digital ID Initiative. The objective for the establishment of the Centre is to provide technical inputs to the discourse on Digital ID on the continent, define and shape standards for Digital ID in Africa, provide capacity development for African countries and Regional Economic Communities on Digital ID. The Centre will work closely with the AUC and undertake consultation with stakeholders (Regional Economic Communities-RECs, Member States and the Private Sector) on Digital ID, country diagnostic assessments, research and capacity building to continental and regional bodies as well as member countries. The Centre of Excellence will leverage staff expertise in ECA, leading international experts on Digital ID and guidance from the High-level Advisory Board chaired by His Excellency Mr. President Paul Kagame and His Excellency Dr. Abiy Ahmed. Following the discussions, the AU Commissioner for Infrastructure and Energy, H.E. Dr. Amani Abou-Zeid made a summary of the valuable contributions from the distinguished participants where she highlighted: (i) the African Union’s achievements including the Malabo convention and guidelines on data protections to name few; (i) the importance of personal data, legal and regulatory frameworks in the digital sector; (iii) the need for appropriate funding and investment for youth, women and girls capacity and harness the demographic dividend; (iv) partnership with private sector to overcome some of the challenges in the sector; (v) Economic transformation of Africa starts with digital identity to be seen as development pillar with a view to ensure inclusive and resilient future; and (vi) importance of information and experience sharing in the sector. The Commissioner concluded her remarks by committing to report to the AU Assembly on the progress made. About 200 participants including Heads of State and Government, the Chairperson, Deputy Chairperson and Commissioners of the AU Commission, the Deputy Secretary-General of the United Nations and the Executive Secretary of UNECA, Ministers, representatives of the World Bank and other partners attended the meeting.